We at the Tattler tend to focus on the business of SaaS. However, the technology behind SaaS is evolving as quickly as the SaaS business model. This week we take a peek under the hood, to see what technology trends are impacting SaaS today. Speaking of Customer Success, if you are in the Southern Ontario area, you won’t want to miss the upcoming Customer Success Meetup on April 14th. The theme is “Customer Success = Startup Success”. Is Amazon the Windows of the Cloud? It seems like Amazon.com’s AWS underpins the majority of SaaS businesses. As the old saying goes, ‘Nobody ever got fired for choosing Amazon’. Taral Shah explains why he loves AWS so much, and what he sees coming in the future. I Love the Cloud: My Never-Ending Journey with the AWS. AWS’ ‘pay-as-you-go’ pricing model allows for flexible use of its services. This type of model allowed me to perform my own demos, research, scaling, development, and testing with ease and efficiency. AWS announced over forty price reductions from its launch in 2006 until today. Over the years, I, personally, have witnessed more than thirty price reductions, and not a single price increase. AWS also offers innovative pricing models for its long term customers (Reserved Instances), as well as for short term or non-mission-critical projects (Spot Instances). Today, AWS offers almost forty different services and the list keeps growing. These services are offered for all cloud models, such as IaaS (EC2, EBS, Auto Scaling, ELB), PaaS (Elastic Beanstalk), database (RDS, NoSQL), deployment (CloudFormation, CodeDeploy), application services (SQS, SNS, SWF), DevOps (OpsWorks), security (IAM, HSM, CloudTrail), mobile services (Amazon Cognito, Mobile Analytics), Big Data (EMR) and many more. One of the hottest technology trends in cloud computing is the emergence of the application container ‘Docker’ and it’s related ecosystem. Here is Digital Ocean’s introduction to the Docker stack, The Docker Ecosystem: An Introduction to Common Components. Containerization is the process of distributing and deploying applications in a portable and predictable way. It accomplishes this by packaging components and their dependencies into standardized, isolated, lightweight process environments called containers. Many organizations are now interested in designing applications and services that can be easily deployed to distributed systems, allowing the system to scale easily and survive machine and application failures. Docker, a containerization platform developed to simplify and standardize deployment in various environments, was largely instrumental in spurring the adoption of this style of service design and management. A large amount of software has been created to build on this ecosystem of distributed container management. How to Build Data Products that Customers Love. The cloud leaves a huge trail of data …. the digital exhaust. This has created huge opportunities for SaaS businesses to build data products. Tim Tefren, who co-founded MixPanel, writes about Three Simple Rules For Building Data Products That People Will Actually Use. Your users are busy. They’re behind schedule and stressed out. Add to that the general discomfort many people have with numbers and it can be very difficult to build interfaces to data that people will actually use. You can make things easy for them by providing context for the data they’re looking at and by providing proof points that help them trust the data in the first place. This can be achieved with a combination of lots of little things – there’s no silver bullet – and the specific techniques you use depend a lot on the audience and on the medium. a product dashboard (audience: product managers/designers/engineers, goal: understand product usage patterns). FusionOps – On-demand Analytics for Supply Chain Management vendor raised $12M Series ‘A’ on March 26, 2015. FinancialForce.com – Back office platform for Salesforce.com vendor raised $110M Private Equity Round on March 27, 2015. WP Engine – Managed hosting for WordPress sites vendor raised $25 Million Series ‘C’ on March 25, 2015. KeyWee – Data-driven content marketing vendor raised $9.1 Million Series ‘A’ on March 24, 2015. Caliber 2.0 – IM for LinkedIn. Hype 3.0 – Create beautiful HTML5 web content with no coding required. Vytmn – Visualize your project progress on large screens. Business on Messenger – Chat with your customers in real-time. What are all the ways SaaS businesses can generate revenue? Neal Patel lists the 11 Revenue Streams for SaaS Businesses. Forrester Research says the Global SaaS market will grow to $63.2B by 2020. Josh Lowry of Datapipe examines why SaaS is winning in SaaS Benefits and Considerations. Who are the biggest players in the Enterprise SaaS Market? Forbes put together the list. Implementing Customer Success? The Guide to Developing a Business Case for Customer Success will help you achieve your customer success mandate. 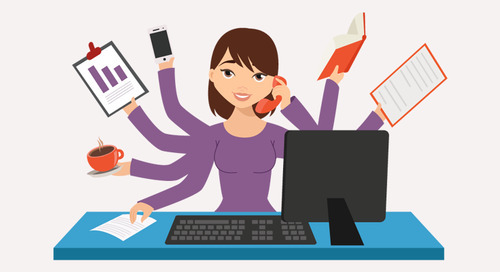 Want something added to the SaaS Tattler – let us know! 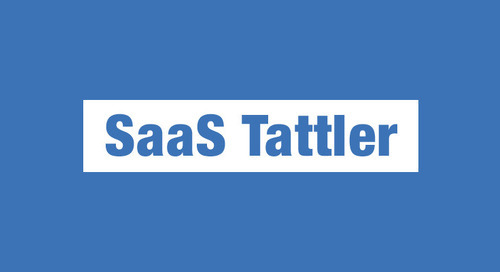 And let us know your take on the SaaS 2.0 Tattler in general – we’d love your feedback.